REGISTER FOR STEP-UP HERE NOW! Stadium Step-Up, Tasmania’s first Stadium step-running challenge, will be held on Sunday March 19th at University of Tasmania stadium in Launceston. Gates will open at 7.30am, with the first wave of Steppers starting at 8.00am. Groups will depart approximately every 10 minutes, with leisure-stepper waves starting at 11.00am. There are four step and two flat-circuit wheel chair friendly courses to choose from! Check out the Courses page for individual prices and options. Spectators, Kid’s Step area, and non-competing children are free. Please phone 03 6326 3344 if you have further enquiries on how to register. Supervised children under 8 years old will have access to a ‘Kids-Step’ section, where they will be able to take part in unlimited ‘step-play’ . University of Tasmania stadium public toilets will be open and available for use on the day. You can view a map of the stadium here. 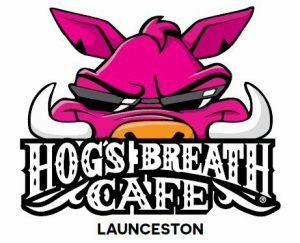 A breakfast and lunch BBQ will be hosted by the Rotary Club of Launceston, with all proceeds on the day going to Rotary projects (participants may pre-puchase their BBQ lunch during on-line registration). Food and beverage stands will be offering up tasty goodies on the day. Parking will be available alongside the stadium and at the Inveresk precinct. Stadium Step-Up will be attended by St John Ambulance Australia. It will be necessary for every participant to sign a personal waiver during the registration process. All proceeds from the day will go to New Horizons Club Inc, supporting sport, recreation and social programmes for local people with disability. Please visit New Horizons Club to learn more! Personal & Team Fundraising- WIN great prizes!! Every participant has the opportunity to drive their own fundraising for New Horizons Club by attracting sponsorship for their step-challenge. Please register on the Stadium Step-Up Gofundme webpage. This is optional, and New Horizons Club are incredibly grateful to all that choose to step up to the extra challenge! :). 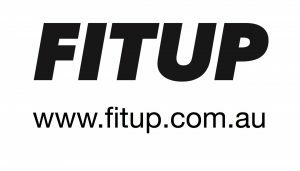 Our top three fundraisers for the day will win vouchers ($150, $100 and $50) to spend on stylish new active wear from the fabulous Fitup.com.au !